Silwan neighborhood won the neighborhood tournament championship on Burj Al-Luqluq playground as they played for 3 days in a row within Shababek ya Quds 3 project funded by the Jerusalemite businessman Munir Kalouti and supervised by the Welfare Association. The final match started with an open speech by Burj Al-Luqluq Executive Manager, Muntaser Edkaidek who stressed on the importance of organizing this event periodically. The final match was between Silwan and Al-Nasara neighborhoods in which Silwan won the first place, Al-Nasara came second, Al Wad came third and Sur Baher came fourth. 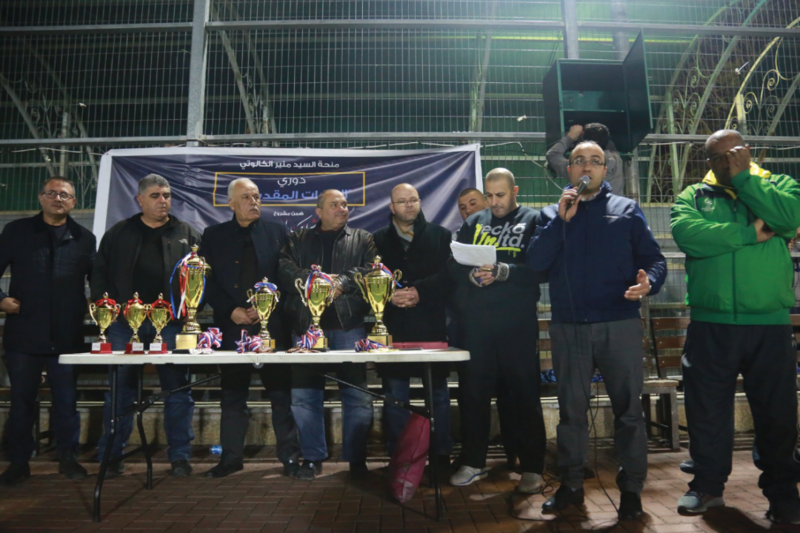 At the end of the tournament the winning teams were crowned in the presence of Burj Al-Luqluq Board Members and a number of Jerusalemite persons. It is worth mentioning that Danial Sadah from Al-Nasara neighborhood was crowned as the scorer while Tamer Salman from his team was chosen as the best goalkeeper, and Hussam Zyadeh from Silwan was crowned the best player.